I glanced through a load of reviews for this a few days before launch day while waiting for my copy to show up, with many of them seemingly wanting to make readers aware of not only how much love they had for past games in the series, but also how every little detail of the ME storyline had somehow stayed with them over the years. Sadly my mind forgets what happened a week ago, let alone when years pass. I played ME1 (for an hour as this one bored me) and ME2 and ME3 for a stupid amount of time, but to sit here and pretend I remember every single detail about my experience would be a lie. The only lasting memory other than growing to care for the characters in the later games was of me spending hours trying to make love to a blue alien and Miranda, just so I could tick it off the list. Don't judge me, as we all know most of us did this. So will this review have lines filled with me looking fondly back on how I went out on adventures with other characters? Nope is the short answer. It will be mostly me saying how I've spent the last 42 hours pressing the flirt option whenever it was available to me, be that a man, woman, or even other life forms. I'm not picky it seems when it comes to making sweet love with game characters. You've all read those other news posts and reviews, you know, where the Internet lost its mind about the fact that Mass Effect: Andromeda perhaps isn't the classic we were all hoping for. I'm not going to waste a huge amount of my time defending the game in areas where it could clearly improve on, but I will say that sometimes people focus way more on the negatives things than they need to. Does Mass Effect look like the worst thing I've ever seen? Hell no. Are the facial animations so much of a big deal that I felt like I needed to jump on the Internet and point it out like a total jackass? Once again, HELL NO. Mass Effect: Andromeda is far from being the perfect game by any means, with glitches and bugs all part of the course when you are given a game this size to make your own adventure. I've seen characters standing in odd ways, people making their way into a cutscene who had no reason to be part of it, and just random things from time to time. That said, I've also had even more hours of nothing but fun and enjoyment on the game, so to just focus on the bad is not only daft but also just unfair on a game that offers so much in return. I did the whole EA Access trial before playing on through with this review copy, and yes while being a little disappointed with what the small trial had to offer, I could still see that behind the slight disappointments that the classic Mass Effect experience that made me enjoy both ME2 and ME3 for a silly amount of hours was still there. You have the guys who go into games like this for the story, but that isn't me as a gamer at all. I'm there to be taken on a fun adventure while meeting new characters, who hopefully I grow to care for the more time I put into the game. And this game has succeeded there quite easily. You play the game as Ryder, be that bog standard male or female character the game has ready and waiting for you, or maybe one you create with the somewhat limited creator that is available to you. I went for the one of kind created character, which truth be told actually came out really well and looked a bit like me, even if the options available are like I said somewhat basic. While the story begins to play out you will begin your adventure in meeting a cast of characters, exploring new planets, and also just growing your character into what you want him/her to become. Now I'm not going to go into too much detail on the story side of things for this, as this is a spoiler-free review after all. I mean there's that and also the fact that while the key story is there for all to enjoy, the experience itself that each gamer will have will always be a little different depending on how you go at it. Sure we all get the same main missions, meet the same people, assignments and tasks and so on, but what order these things get played is down to the player once they become available. In my case I'm a sucker for anything away from the story until very late on in the game, with exploring and just getting to see what the game offers outside of the set story always being a place I get lost in when playing games this big. Just picking one of the available planets on offer and jumping in my Nomad ND1 and driving around and seeing what I come across has already seen me lose whole nights and afternoons to it, and something I can't see myself getting bored of doing until I've drained the planets for everything they have. Doing this very thing and taking on a side mission was what led to my standout moment in the game so far, a moment I'm not going to spoil for you guys but left me being utterly blown away and glad I had got to experience it without it being ruined by the Internet. The actual game itself does take a few hours before kicking into what I would say was the classic Mass Effect way of play, but Soon enough you're hunting for resources and building your character into what you want to be. 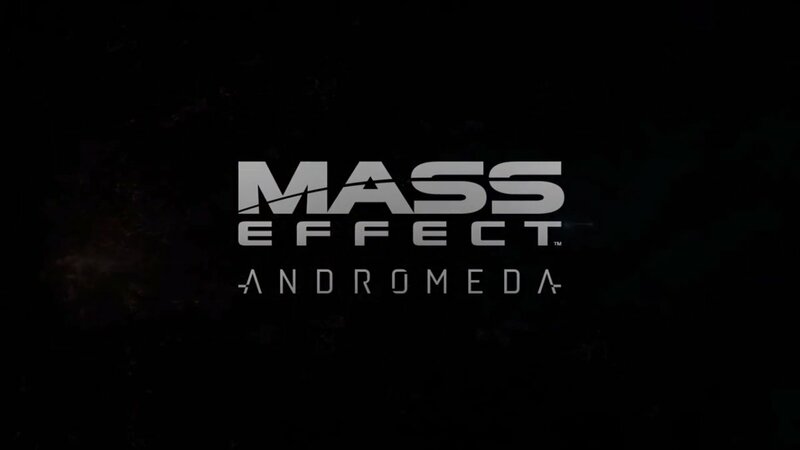 It can be easy to just do the first hour and shut it off to it due to it not offering what you expect from a game like this, but stick it out and all the old Mass Effect favourites start to appear. You will not reach a point in this game where you have nothing to do as you work your way through it. If you're not working through a main story mission you will be working on missions to grow relationships with characters, missions found on planets to do, tasks to complete, and just worlds to explore. The thing with this is I did find myself getting to a point where the gamer in me who likes a set plan felt a bit overwhelmed with what looks like a messy journal, and with certain things you can fail (only one for me so far) you really need to stay on top in all the things that are coming your way. Sure some tasks and even what I guess you would call side missions are very much a pointless exercise of going somewhere meeting someone and it's done, But doing this you're also going back to places and finding more things that you may have missed when you first visited. So yeah, what I'm saying here is just an absolute bucketload of things to work through here, with 90% of the ones I've played so far being very enjoyable. Away from missions and the like you also have crafting items like armour and weapons, and also buying skills with points that you earn and put to use into three categories. Combat sees you able to upgrade things like weapon damage and health. Biotics is like your magic with things like pulls and throws in here for you to unlock and upgrade. This is something I'm not a big user of in the game if I'm being honest, so this sits a bit bare on my character. Then you have tech which offers things like an assault turret and flamethrower to name just a couple of the twelve things on offer. You are always doing something and earning points to spend, and with each item having 6 slots to fill before making that item to the most powerful it can be, It will be a while until you fully power yourself up to the max. Like I said earlier in this review, Mass Effect games for me have never seen me invest that much into the story they offer, as I just find myself getting wrapped up in the game itself and building my guy into something special. Now I've already touched upon powers above, but Mass Effect doesn't stop there when it comes to adding to this character that you can make your own. Found on both your ship the Tempest and the planets that you visit are a number of things where you can add even more to how you look and also what you yield when it comes to battles. A research center is always close by, a place where you can research and develop three different kinds of technology, be that Milky Way, Heleus, and Remnant. The items you can research are weapons and armour, with Augmentations also there too and are what can make both weapons and armour almost unique to you. Adding some of these into one of the mod slots when crafting a new item can give you some bonus effects. Take for instance the one seen in the image below. Adding that into my gun would give me 10% extra damage in the last 20% of my ammo when using my gun, or sticking it in a created chest piece it would give me 10% increased weapon accuracy when standing still. All items come in common, rare, ultra rare and so on, so you are always on the look out for those better items. You can also visit sellers around the planets if you just feel like dropping credits on new items and things, with salvage you pick up and sell being just one of the ways how you make this cash to buy things. Now when it comes to crafting you are going to need those sweet resources to be able to craft these new things, and if exploring worlds for these gets a little too much you do have other ways. Vendors can be found all over the place that will sell pretty much what you need, but where is the fun in that where planets are out there to explore right? This is me just touching upon how deep the game actually goes, so you can see why hours and even days can be lost on it when playing it. Overall: If you're talking value for money then Mass Effect: Andromeda has already given me that had I paid the £40.00 asking price with the 42 hours I've put into it as I type up this piece of the review. Not forgetting this is with me hardly getting close to anywhere near completing the game, so God knows how much more time on the game I've got ahead of me. I've not touched upon things like the MP (bit bland and not my cup of tea in truth) being there for those that want to take the game online. Sending strike teams out on missions in which you earn rewards back when completing them. Building a little team here with the credits you earn is also something else you could lose loads of time in. When reading this back in a week or two I will bound to see many other things I've not spoken about in this review, and that should only nail home to you how much this game has to offer. I guess what I'm saying in this review is what Mass Effect offers good easily outweighs all the bad I've seen or even been told about on the Internet. Do yourself a favour and just go and give the game a try, trust me it's not as bad as the Internet is making it out to be.